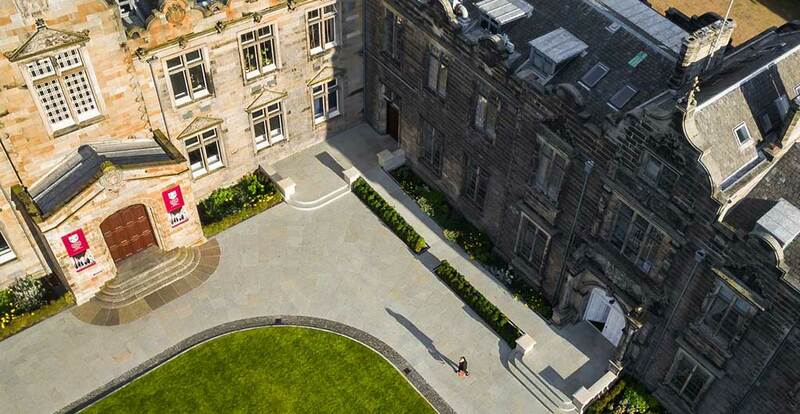 For some people, the University of St Andrews is primarily known as the place where Prince William and Kate Middleton met. In truth, however, it is a place with a long and illustrious history, and the University consistently ranks highly in the league tables. In the early 15th century, Scottish students were primarily studying in France, as ongoing disputes with the English ruled out Oxbridge. In 1410, a group of masters decided to start a ‘school of higher studies’ in St Andrews. Over the next couple of years they strove to obtain full university status, which could only be conferred by a senior religious leader, and in 1413 they received the necessary Papal approval. The University continued to grow and develop over the next 600 years, and is now internationally respected. A number of famous figures have studied and taught there, including: John Napier, Benjamin Franklin, Edward Jenner, John Stuart Mill, J.M. Barrie, and Rudyard Kipling. St Andrews offers a wide range of subjects across the arts and sciences in 20 main subject groups. The 2014 Research Excellence Framework ranks the University particularly highly for Psychology and English Literature research. The Guardian University Guide 2019 takes a range of criteria into account when ranking courses, and they ranked St Andrews first in the UK for Biosciences, Physics, Computer Science & Information Systems, Psychology, and International Relations. In addition, it was second in the country for Mathematics, Religious Studies & Theology, Philosophy, Business Management & Marketing, and English & Creative Writing. Seven further courses were ranked in the top five in the UK: Economics, History, Classics & Ancient History, Modern Languages & Linguistics, History of Art, Geography & Environmental Studies, and Earth & Marine Sciences. This demonstrates the high esteem in which teaching and research at St Andrews is held. St Andrews generally scores well in surveys assessing the quality of the student experience. For example, the 2018 National Student Survey, produced by the Times and Sunday Times, puts St Andrews in first place for student experience. There are around 8,000 students at the University, making up a substantial proportion of the population of the city as a whole. St Andrews offers spectacular scenery, historic buildings, and the most famous golf course in the world. It attracts students who like history and the outdoors, as well as keen golfers. There are, however, over 150 student societies and 50 sports clubs to keep everyone entertained. When large numbers of young people are looking for cheap, rented accommodation in a small, historic town, it is likely that a number of them will be unsuccessful. Some students will therefore have to live further away from the University than they intended, or pay more than they had planned. The University also has something of a reputation for attracting the social elite, such as the Royals, but it is a matter of perspective as to whether this is considered a positive or negative feature. In any event, with 46% of students currently coming from outside the UK, students will get to meet people from many backgrounds. St Andrews is a historic university, which ranks highly, both academically and amongst students. Not all students will relish the small-town setting or bracing Scottish weather, but for those who like the history and relish the academic challenge, St Andrews could be a great choice.